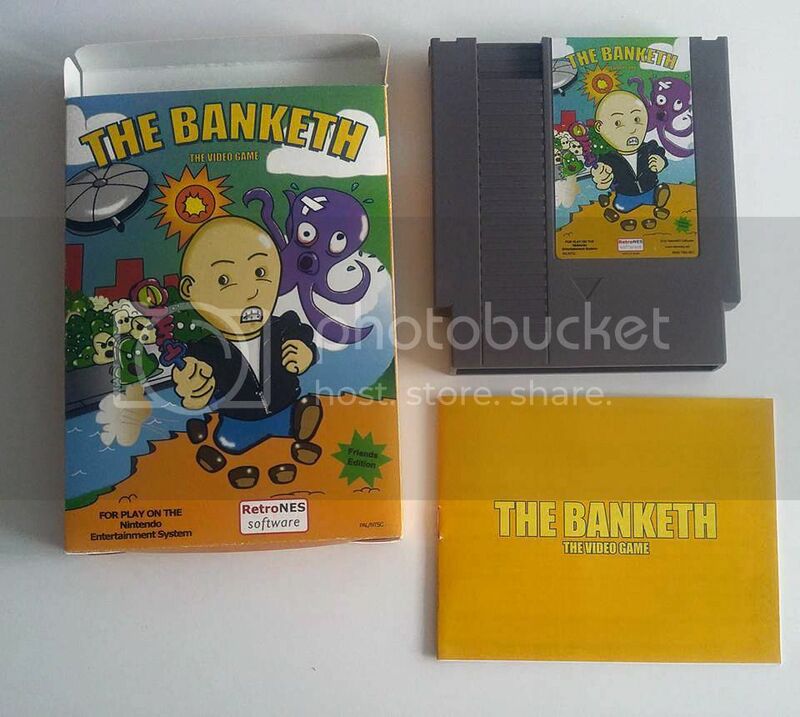 Post subject: The Banketh - The Video Game. From RetroNES Software we want to thank you for the support offered, and we hope to be able to continue offering another project soon, less ambitious, and with the wisdom that has given us this failure. Without further ado, many thanks to all. See you. We have 40 days to get a minimum of 3. 500 euros to make this project a reality. The video game itself, consists of the cartridge, box, instructions, and protective case. It has been priced 39 € (shipping costs to Spain included). 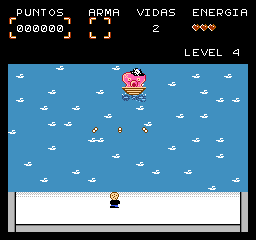 It also offers the acquisition of cup with the logo of RetroNES Software and blue shirt with the cover of the game. But maybe what interests you most is the complete video game pack plus beer La Grúa, who will make a special run of his Australian Pale Ale with the video game cover The Banketh in its labeling. It's cool. 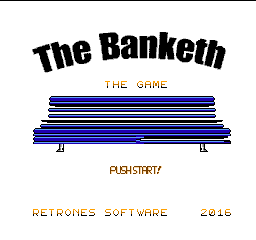 Well, after many months of work, I can make the presentation of my project, The Banketh - The Video Game. I want to get a demo in a few days. For now I can teach you images of the game and some gif. The game is linear adventure type, but with small details of exploration. 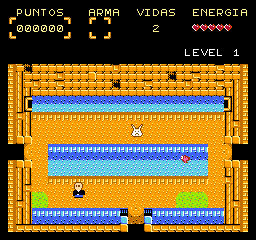 It is composed of 5 levels, plus 4 sub-levels that make connection between the previous ones. 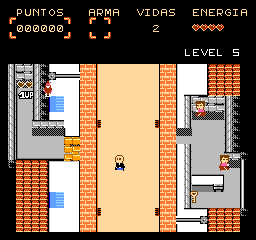 In this way, the first level is a culvert, the second level is an office, the third level is a park, the fourth level is a cargo ship, and the fifth level is an old street. Between level and level we must mount in a motorcycle and overcome some obstacles to reach the next level. Mutant monsters have kidnapped my four friends and I must go through all Santander in their search, and then exterminate the chief of the mutants. Very simple. 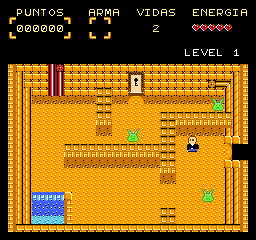 Each level has a riddle or secret to discover to be able to overcome, whether keys, buttons or anything else that is hidden. 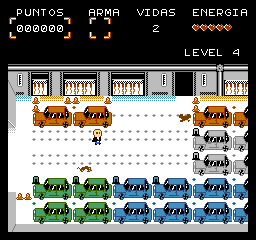 All scenarios are based on locations in the city of Santander (Spain). It is mounted on a UNROM 128Kb card. Programed in C with the Shiru library. I have to create the music. For now I have only been able to create some sound. 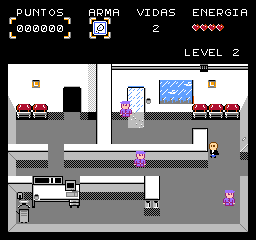 The reason why it was relatively hidden was just so my friends did not know anything, since the main objective was to make them a Christmas gift with this video game. I explain a little: The Banketh is a name that means nothing. It is a play on words mixing Spanish and English. When we were very young, we spent a lot of time sitting on a bench in a street near our homes, and sometimes we played the "Spanglis" that was invented words in English with words in Spanish; Simply by laughing a little at how ridiculous those words sounded. In this way, as we were always sitting on a bench, it occurred to us to play the word game with this (in Spanish it is called "banco"), and came out "banketh ". And since then we call ourselves The Banketh. Today at last, being Christmas, my friends have woken up with the finished gift (lie, it really is BETA 1.3) under their Christmas trees. Some have cried a lot, because they did not expect it, and in general the reception has been very great. The next objective is to fix the problems of the game, create music, improve the sound, outline some levels, and later make a crowfunding campaign ... although the latter I still have to think a lot. 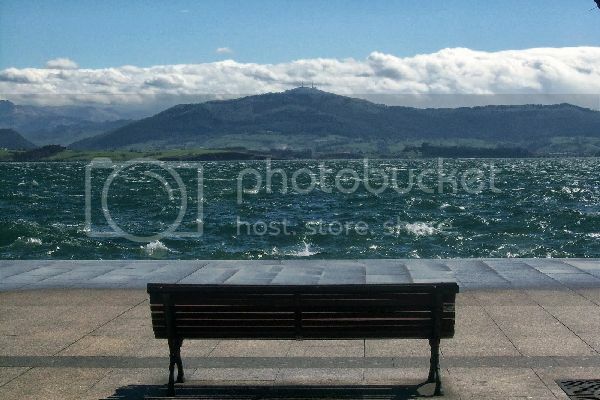 A greeting from Santander. I'll go slowly posting the news. Last edited by Diskover on Sun Aug 13, 2017 3:18 am, edited 10 times in total. At last. 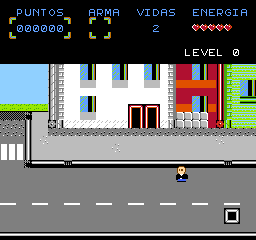 Here you have a small demo composed by the first level and a subphase where we can drive a motorcycle and dodge obstacles. The reason for the delay was because I have been sick with the flu and because I had no music. In the end I have invented something as I could, but I do not rule out that I end up resorting to some professional for that work. Congrats for your game ! I know that I'm not good at video games, but I don't understand where I can get a weapon to beat those monsters ?! This is pretty cool! 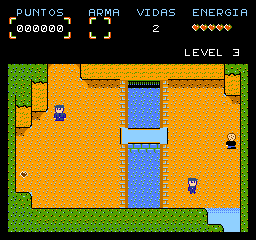 A zeldaesque dungeon crawler in a modern town. Here's a suggestion after my first try: Consider excluding the player objects' head from the hitbox so that it's more of a square. Getting hit when think you're walking by doesn't feel right. 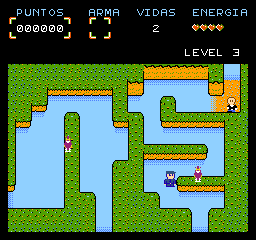 This problem also leads to the player being able to fall in a hole that's north of the player when pressing left or right. Is there a way to back out of the story back to the title screen other than waiting it out? Being able to reach the boss before getting the weapon and having the door close on you is something i'd want to alter somehow, either by being able to exit, or by having to destroy the door mechanism with the weapon in order to open it or something else. Maybe you could use a 'walkbox' to avoid falling in a hole. And yeah handle Z axis to avoid being hit when walking in front of an enemy could be good. However this is very nice ! All your suggestions are welcome. I'm not a professional in the field, and above all the issue of collisions has given me headaches. I'll try to improve on the head and the cliffs. In level 3 there are some mobile platforms that I must also improve. My friends have been able to play the whole game and have mostly complained about those platforms. After all, this is a beta. How do you currently define the player characters' area for hit detection? Knowing that may help me and others provide leads on what you may try. When I saw the title a Banquet/Feast (pt: Banquete) immediately came to mind. When I opened the thread and saw the title screen I thought of something in the lines of "The bench cometh!" (bench is exactly the same in spanish and portuguese). An unique title, definitely . Suits well your game since it also feels unique. Can't wait to try the demo.